Celebrate your birthday, anniversary, the yartzeit of a family member or other family occasions by sponsoring a TGIS Shabbat Dinner at Chabad! The Shabbat Dinner is very affordable and it's a beautiful way of celebrating with the community. 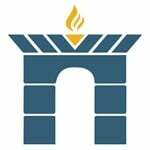 It is a special time that helps us to create friendships, community and the warm shul atmosphere in which we take great pride. May the merit of sponsoring this beautiful event bring you and yours all the blessings of nachas, happiness and much success in all your endeavors. See below for sponsorship options, a list of available TGIS dinner's and to submit your sponsorship. This page will be updated as sponsorships are submitted. 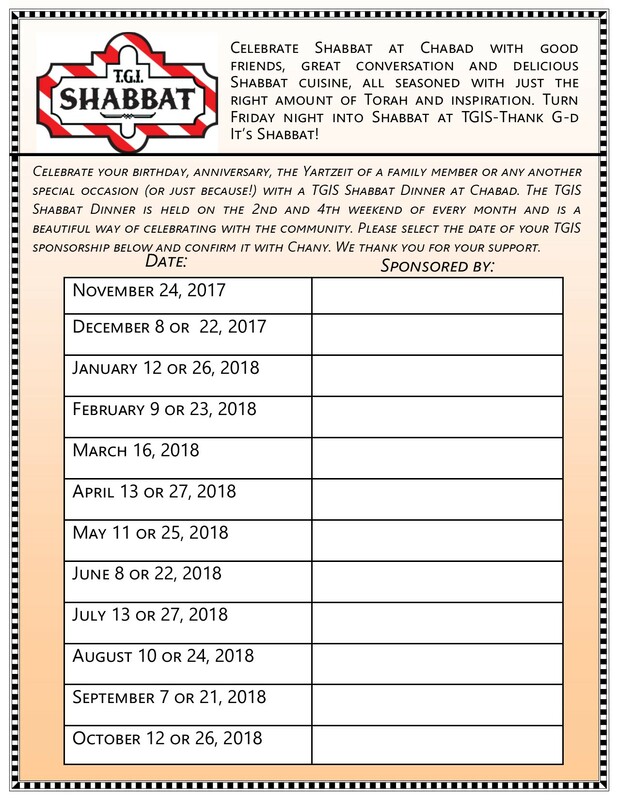 The TGIS Sponsorship chart is also prominently displayed in our shul so everyone can see which dates were already sponsored by whom and which dates are still available. The cost for TGIS sponsorship is $200. *Upgraded menus of salmon and/or chicken dinners are available upon request.